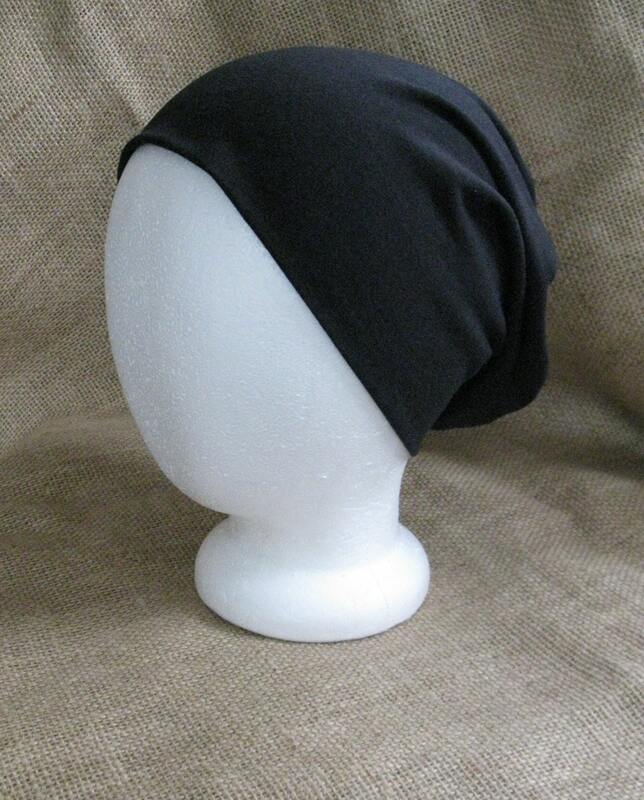 Same great black bamboo chemo headwear just got better with a new fabric! Now with 90% bamboo, 5% organic cotton and 5% spandex. 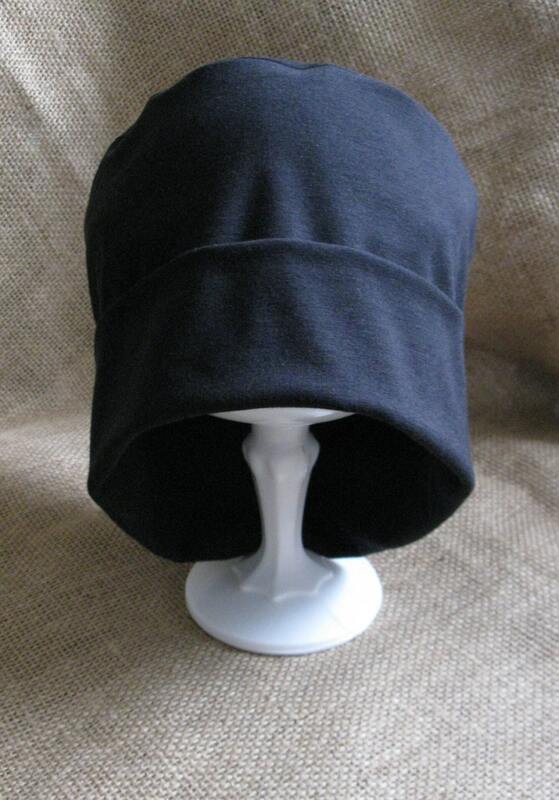 This hat is the little black dress of the beanie world. 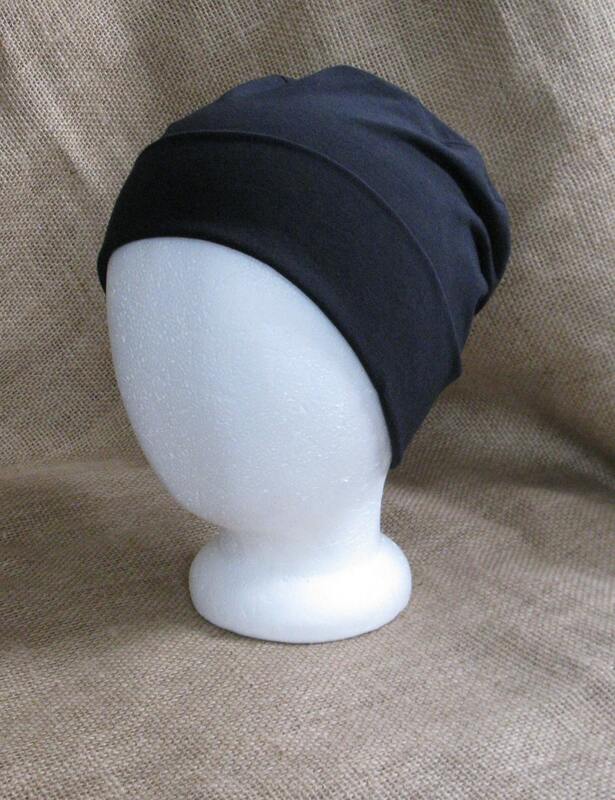 Made from organic black bamboo this hat is soft and silky, simple and elegant. 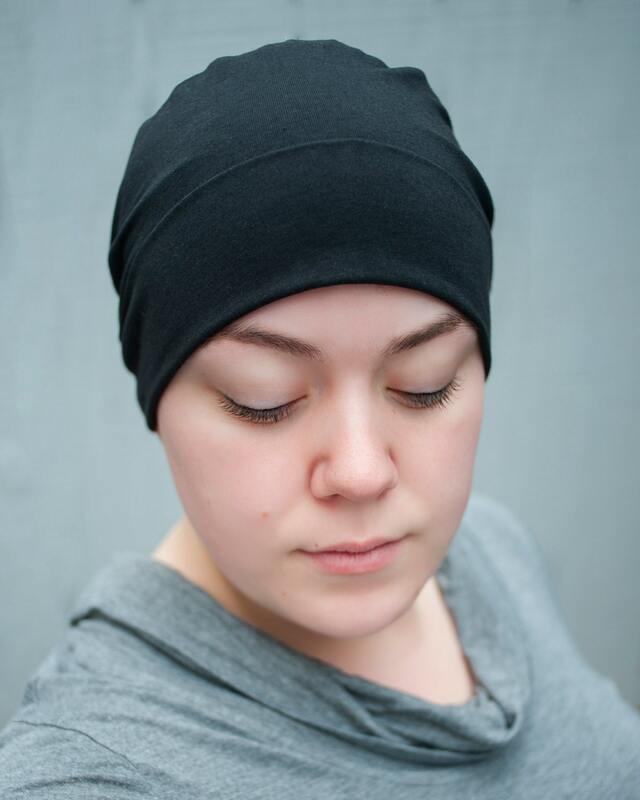 Silky soft, stretchy and breathable organic hat that's soft and comfy enough for those undergoing chemotherapy treatment. Bamboo is perfect for sensitive skin. Super soft quality material! Would recommend. 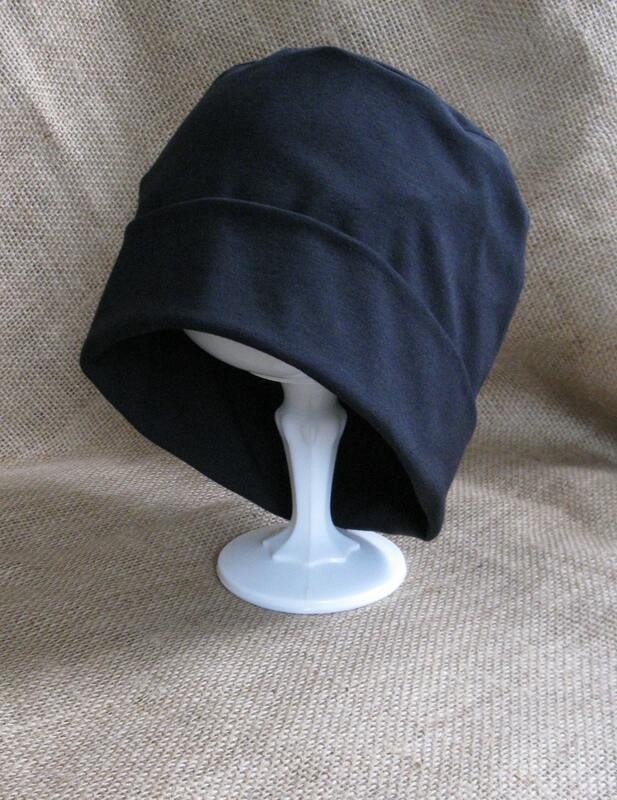 These hats are super soft and a great value for the quality! I purchased two of them! They’re a little big on me, but to be fair I have a pretty small head. They’re great to sleep in as I go through chemo! This is the best chemo hat ever. I went back and bought another one after seeing the quality and fit of this purchase. The packaging is beautiful also. Very fast turn around too. Wow! These hats are adorable and comfortable. Very happy, especially with the sweet elephant pattern. Many options for wearing this one, and so well made. Thank you!